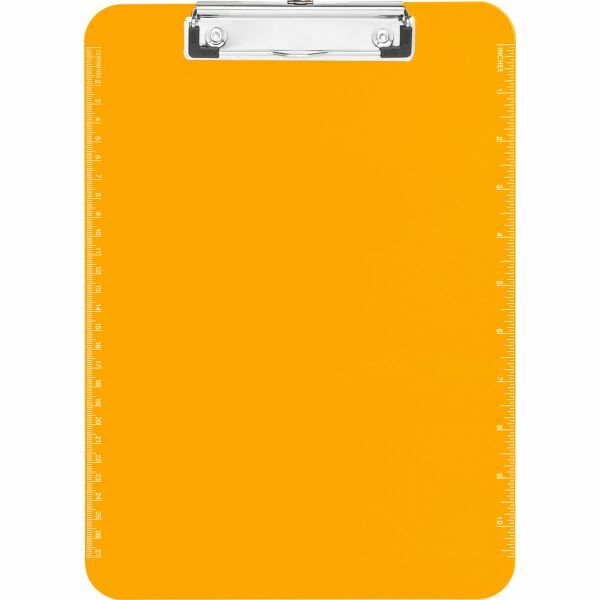 Sparco Plastic Translucent Neon Orange Clipboard - Clipboard provides a stylish and functional way to write without the use of a desk. 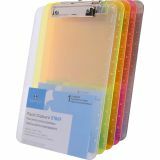 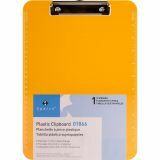 The flat clip makes this durable, plastic clipboard space efficient and easy to use. 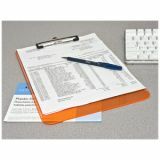 Clipboard includes a pullout tab for hanging. 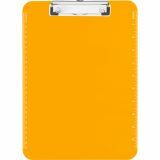 Includes imprinted ruler on side.